UPDATE: Still digging (and deleting). 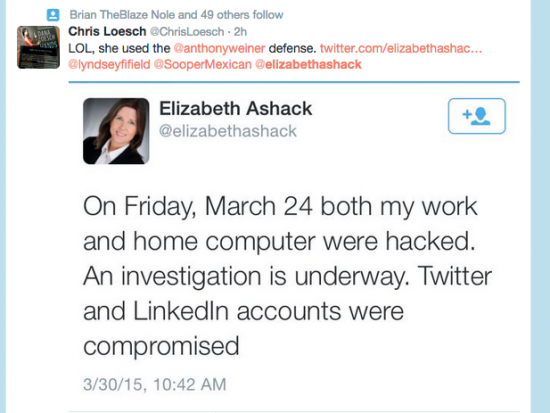 On Monday, a new tweet was apparently written by Ashack, which said that her work and her home computers were “hacked,” and that an investigation is underway. 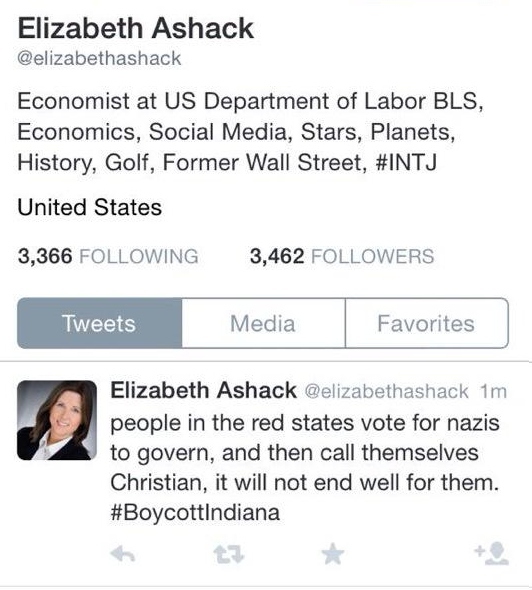 Neither this tweet nor the original “Nazi” tweet were on her Twitter account as of Monday.